Keeping up with the fastest man on the planet is a tough job for anyone but Bored of Southsea managed to nail Usain Bolt down for enough time to pose for their latest skate hardware, aptly named Usain Bolts! 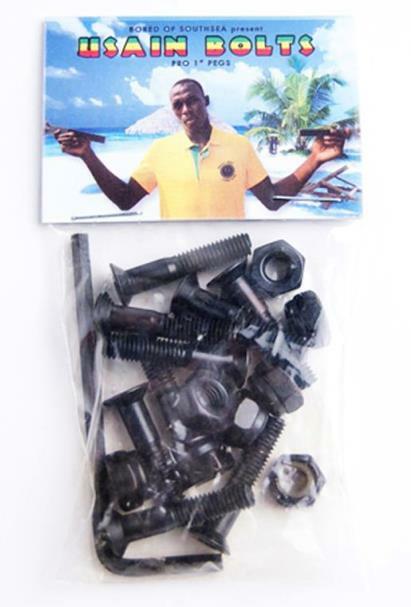 £3.50 and shipping gets you 8 skateboard bolts, one allen key and a lifetime guaranteed for ‘Cool Runnings’. Order yours today from their online store. 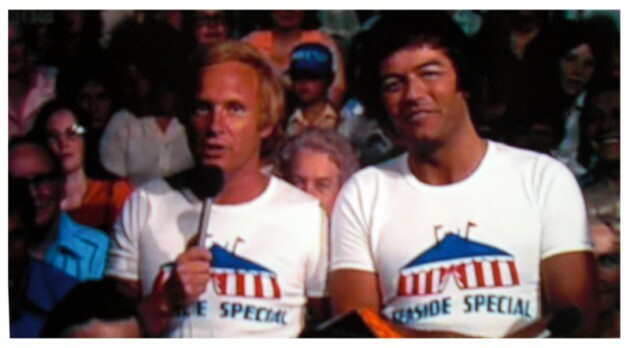 The guys down at Bored of Southsea have revived a classic 70’s t-shirt this week, orginally worn by legendary Radio 1 and 2 DJ’s including heavyweight Tony Blackburn (pictured below). 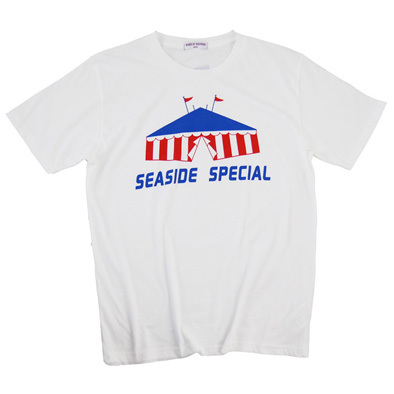 The ‘Seaside Special’ pays homage to the classic British music show Top of the Pops that for whatever reason is sorely missed in the UK thesedays. Maybe this will help revive it. Back in the 70’s this show went on the road and was filmed in a big top in a number of British Seaside resorts including Torbay, Blackpool and of course, Southsea. So this retrospective t-shirt comes with a lot of local history and pride. The new design comes freshly printed on a t-shirt and crew jumper with the Bored flag logo on the back and are £20 from their website. This news has tempted me to search through old photos of Southsea Skatepark jams, where Bod Boyle, Steve Schneer and many others ripped the vert ramp apart back in ’89. 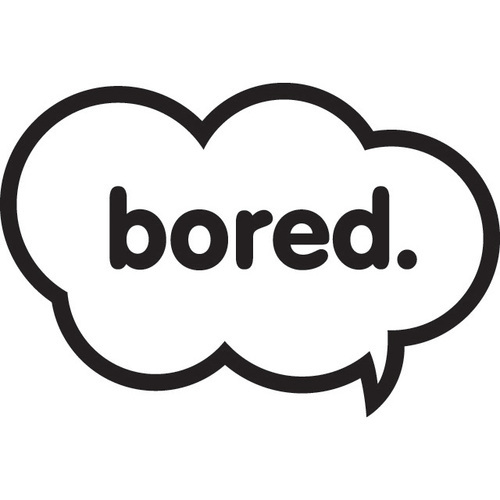 There’s so much history down there, celebrate with Bored and buy one today. 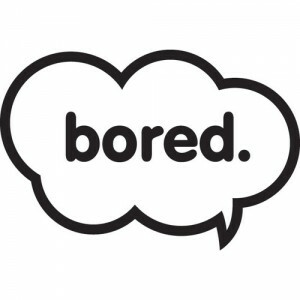 Getting Bored rocks this week. See for yourself and get down South for life. Here’s another of today’s skate park edits, this one courtesy of the Bored Of Southsea skate shop. Phil Russell looks like he visited every skatepark in the South with Sam Bailey in tow to film the sessions. 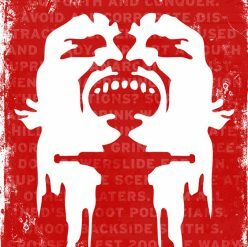 Bored have just had a delivery of Shepard Fairey’s OBEY spring collection in, click here to view what’s in store.